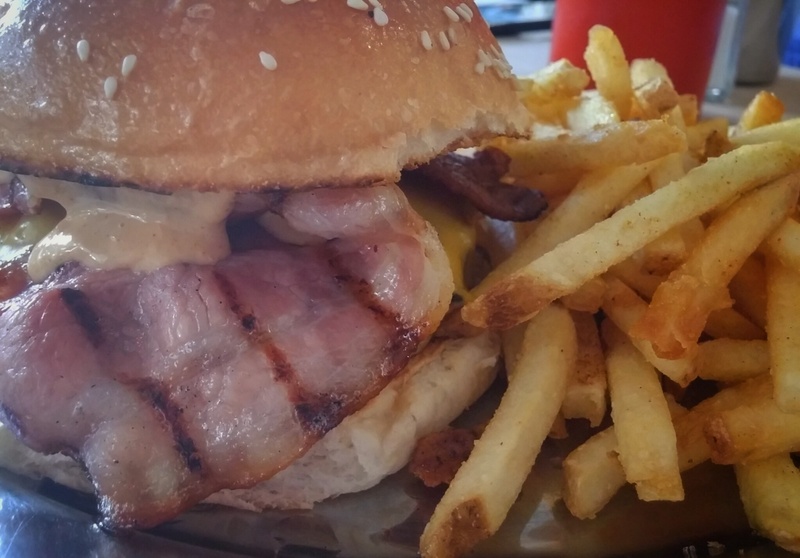 Nestled among the backstreets of busy Ultimo, you’ll find Pub Life Kitchen – home of some of the best burgers in Sydney. Previously setting up shop at the Woollahra and Macquarie Hotels, the masterminds behind Pub Life Kitchen have taken over the back half of The Lord Wolseley and transformed it into a dainty little eatery. No room inside? No worries! Bring a blanket and some friends and enjoy your beers and burgers on the grassy park right next to the pub. You won’t be the only ones to take advantage of the neighbourly feel on the lawns and footpath. Given its location, it’s the perfect location for a mid-week dinner catch up with mates. While they serve the usual suspects, they’re best known for their fantastic burgers; juicy 200g beef patty burgers; buttermilk fried chicken with green sriracha; and a vegetarian option with sweet potato and lentils. At $17-$18, they’re a few dollars more expensive than most pub grub burgers, but boy, are they worth it. On Wednesdays nights though, things get a little experimental in the kitchen. Pub Life Kitchen revels in putting together some weird and wonderful flavour combinations for those with more adventurous tastebuds to try. When Plate + Plane visited, the Experimental Burger up for grabs was the Thairenaslawrus Rex: fried chicken dipped in lemongrass chili, fresh slaw and sesame mayo. Awww yiss – it was as good as it sounds. Overall, it should definitely be on the list if you’re a fan of burgers. 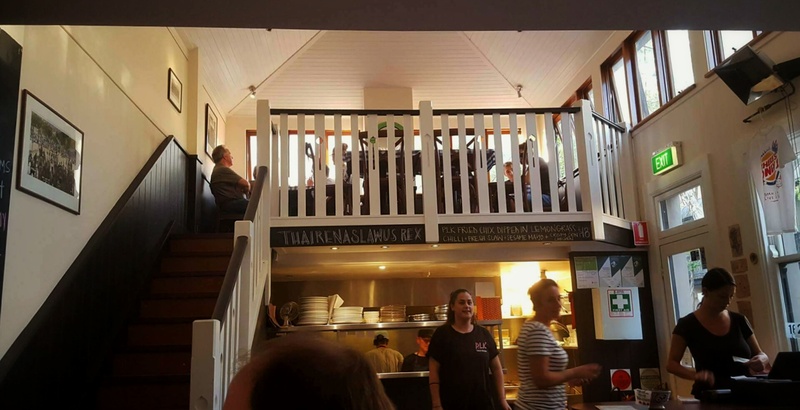 Despite being quite busy – almost every seat in the house was taken when we arrived at 6.20 – our food came out quickly, so it’s a well-oiled machine. The staff are friendly, the atmosphere lovely. If you can, see if you can grab one of the seats upstairs to get some lovely views over Ultimo and Pyrmont as the sun sets.